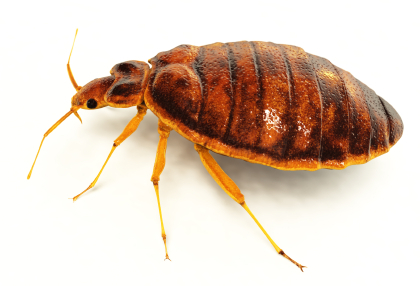 Bed bugs (Cimex lectularius) are small, flat, parasitic insects that feed solely on the blood of people and animals while they sleep. 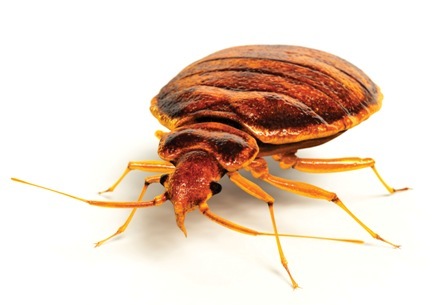 Bed bugs are reddish-brown in color, wingless, range from 1mm to 7mm (roughly the size an apple seed), and can live up to a year without a blood meal. It is hard to tell if you’ve been bitten by a bed bug unless you find bed bugs or signs of infestation. When bed bugs bite, they inject an anesthetic and an anticoagulant that prevents a person from realizing they are being bitten. Most people do not realize they have been bitten until bite marks appear anywhere from one to several days after the initial bite. The bite marks are similar to that of a mosquito or a flea -- a slightly swollen and red area that may itch and be irritating. The bite marks may be random or appear in a straight line.